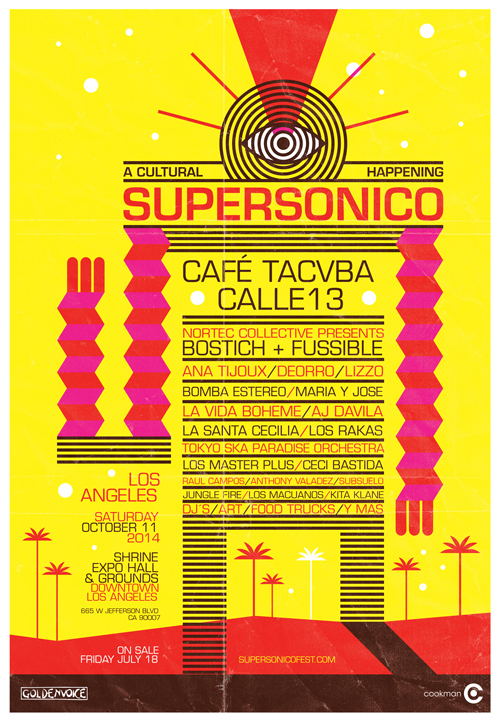 Supersonico is a new multi-genre music festival coming to the legendary Shrine Expo Hall & Grounds in Downtown Los Angeles on Saturday, October 11, 2014. Tickets will be available starting today at Noon PST. 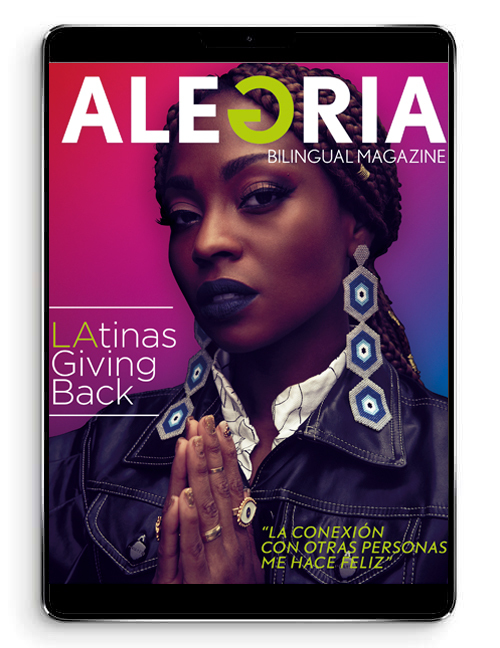 This cutting-edge multi-stage, multi-lingual indoor/outdoor music festival brings exciting and diverse performances by a wide range of artists from across the Americas and beyond. The grounds will host a variety of bands, fan favorite food trucks, art, local and international DJ’s and more. After an initial batch of pre-sale tickets sold out soon after the Supersonico line-up was announced in Billboard last week, tickets will now go on-sale to the general public starting today, Friday July 18th at Noon PST for $49.50, along with a limited amount of VIP tickets. Physical tickets will also be on sale every Thursday from 12:00pm to 5:00pm, with no service fee, at the Shrine box office — located on Royal Street, between Jefferson & 32nd (while supplies last).